Sterling Investor Capital has the answers to all of your hard money lender needs in Houston, Texas. 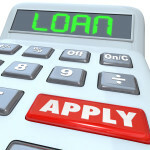 We are able to finance loans which have been turned down by banks and help you out in many financial situations in which a loan would otherwise be denied. We finance loans for residential investment and commercial investment purposes mainly based on the equity that you have available. The rates that we offer depend mostly on the type of property, term of the loan, and the risk assessment on the investment. Since we are a private equity-based hard money lenders in Houston Texas we are able to be of assistance to investors throughout Texas. For those looking for a residential investment or commercial bridge loan in Dallas, TX there is no better place than Sterling Investor Capital. We finance many bridge loans that other institutions passed up in order to help our customers close on residential investment or commercial investment loans faster and more easily. If you are in need of a loan for residential investment property or a commercial bridge loan in Dallas to purchase residential investment property or refinance the mortgage on your current residential investment property or commercial investment property then you have come to the right place. We have the best rates and terms on bridge loans in Texas. Residential investment and commercial investment loans are available in Austin for those who are looking to purchase property. If the bank has declined you for a residential investment or commercial loan you can count on Sterling Investor Capital to help you through the financial process of buying a new property. Investment home and commercial loans in Austin don’t have to be difficult and lengthy. 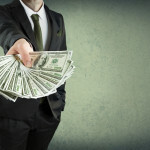 Unlike other hard money lenders we prefer longer terms for our loans. This helps our customers who are looking for the best deals on residential investment loans in Austin without the hassle of working with a banking institution. Residential and commercial hard money loans in Dallas, Texas may be the answer to your financing needs. With our exceptional rates and market leading terms on our residential and commercial hard money loans in Dallas we have been able to help countless customers realize their property goals when they had been turned down by other lending institutions. Everyone should have the chance to make a smart residential move when they see the opportunity, and the residential and commercial hard money loans in Dallas that we offer to customers can help you take advantage of that same chance. If you are considering a residential or commercial hard money loan in Dallas you will be sure to find a better value in our loans. 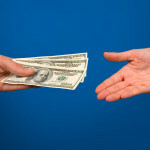 For all equity based money lending needs in Houston, Texas we have you covered. We have over 40 years of experience in real estate financing which allows us to provide you with the funds that you need. When it comes to residential investment and commercial hard money lending in Houston there is no better choice. We make sure that you will have the best rates on your loans based on the equity of your current holdings. We are capable of offering anywhere from $80,000 to $5,000,000 or more for the right opportunity. If you have the chance to make a solid move and simply need help funding your investment, you can count on Sterling Investor Capital for your private investor hard money lending in Houston. We are hard money lenders in San Antonio, Texas that can quickly get you on the path to receiving the funds that you need. 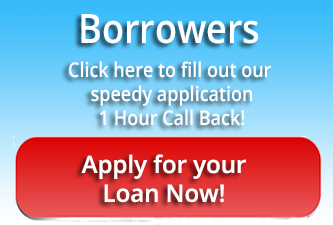 We will issue a letter of intent within 24 hours of receiving your loan application. Lending hard money in San Antonio has never been easier than when you work with Sterling Investor Capital. We make sure that you are ready to capture any opportunities that come your way even if you don’t have extra capital sitting around to invest. Our San Antonio asset based loans will make sure that you have access to all of the resources that you need based purely on the assets that you already own. Our funding of residential investment loans in Ft. Worth, Texas are quick and easy. We are usually able to provide the funding that you need within 7 to 10 days after appraisal. This means that you won’t have to wait through a long administrative period and can capitalize on the property that you would like to purchase. Hard money lending in Ft. Worth is a great alternative when you want to make a move on a property quickly without having to go through all of the lengthy processes that occur when borrowing from a bank. Our residential investment and commercial loans in Texas differentiate from the usual bank loans you receive. They are not based upon usual credit checks as we do not require you to go through income verification and provide tax returns like banks. 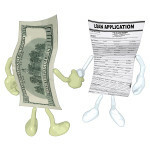 You primarily qualify for a loan based on the value and cost of the property or real estate. There is no loan committee, it’s our money and if the loan makes sense we’ll do it. Contact us now to arrange for a consultation or if you have any questions or concerns. We’re a direct Texas hard money lender making loans in Texas. Loan terms can be from 1 year to 5 years. All investor and property owners are able to qualify based only on the value of the property.